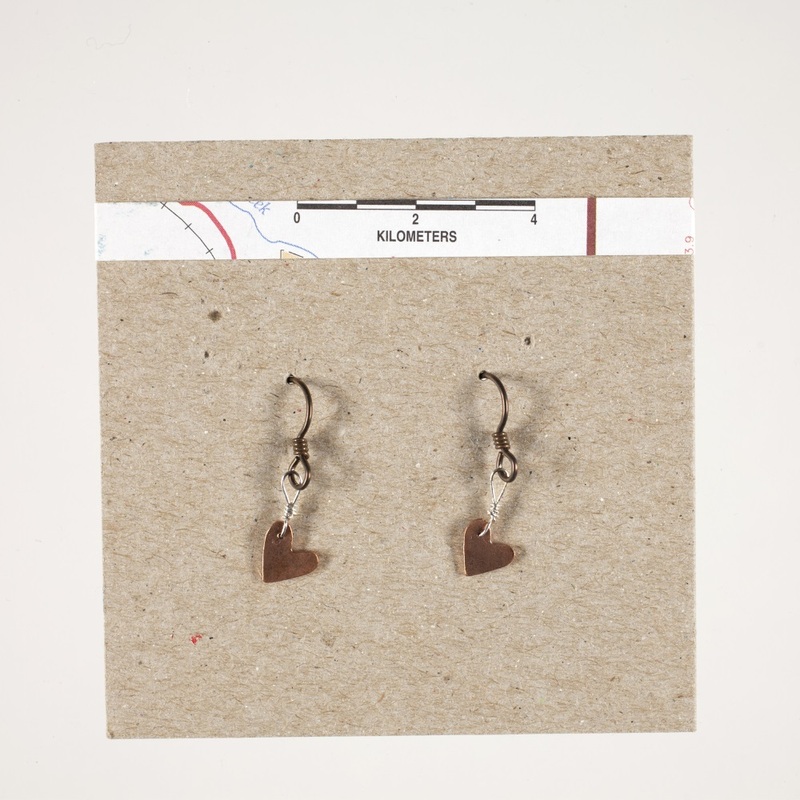 These copper earrings sport the polished copper from the original roof of the Kansas State Capitol. They are in the shape of a heart. The Capitol roof was replaced in 2013 and the copper made available to the Kansas Historical Society and Kansas Historical Foundation for use in products to be sold in the Capitol Store. By Bailey Marable of Topeka, Kansas. A high school art teacher, Bailey Marable of Topeka, Kansas, has degrees in art education and metalsmithing from the University of Kansas. She shares her passion for art with her husband, Justin Marable, also an accomplished artist and photographer. With the discovery of tiny drill bits and saw blades, Marable has challenged herself with fine details created by hand. She loves sawing out letters, animals, and shapes. Marable creates unique jewelry items with pieces with historic copper from the Kansas State Capitol roof.